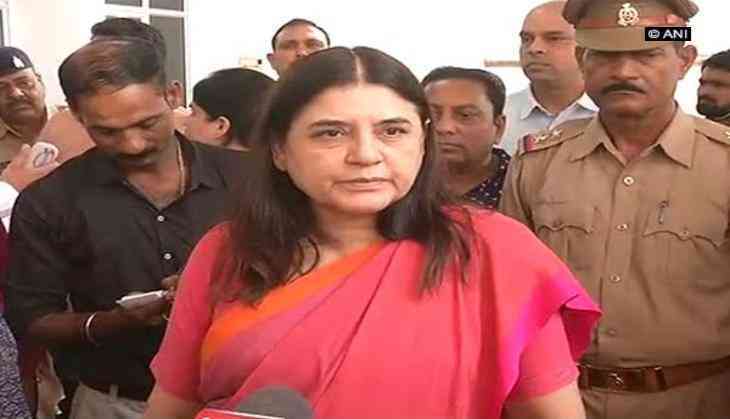 Minister of Women and Child Development Maneka Gandhi on 13 December wrote to leading film production houses of Bollywood, urging them to comply with the Sexual Harassment of Women at Workplace Act to provide a safe, secure and inclusive work environment for women. Through this effort, Ministry of WCD will extend outreach and implementation of the Act to yet another section. The WCD Minister has personally written to Aditya Chopra, Karan Johar, Anurag Kashyap, Bhushan Kumar, Ekta Kapoor, Vinod Chopra, Mahesh Bhatt, Shahrukh Khan, Sooraj Barjatya Bhavana, Ritesh Sidhwani, Farhan Akhtar, Anil Dhirubhai Ambani, Ajit Andhare, Sajid Nadiadwala, Vijay Singh, NP Singh, Aamir Khan, Shobu Yarlagadda, Rakeysh Omprakash Mehra, Ashutosh Gowarikar, Manish Mundra, Pritish Nandy, Sanjay Leela Bhansali and Subhash Ghai. Gandhi said that as leaders of their organisations, they are ethically and legally accountable for the safety of not only their direct employees, but of all outsourced and temporary staff as well. On 7 November, Gandhi had launched an online complaint management system titled Sexual Harassment electronic-Box (SHe-Box) for registering complaints related to sexual harassment at workplace. The complaint management system has been developed to ensure the effective implementation of the SH Act, 2013. This portal is an initiative to provide a platform to working women to file complaints related to sexual harassment at workplace under the SH Act. Those who had already filed a written complaint with the concerned ICC constituted under the SH Act are also eligible to file their complaint through this portal. Last month, Gandhi had tweeted, thanking Finance Minister Arun Jaitley, for considering Ministry WCD's request to amend relevant rules under the Companies Act, 2013, for women's safety. The amendment would ensure that the Board of Directors of all companies duly report on the constitution of ICC under the Act.